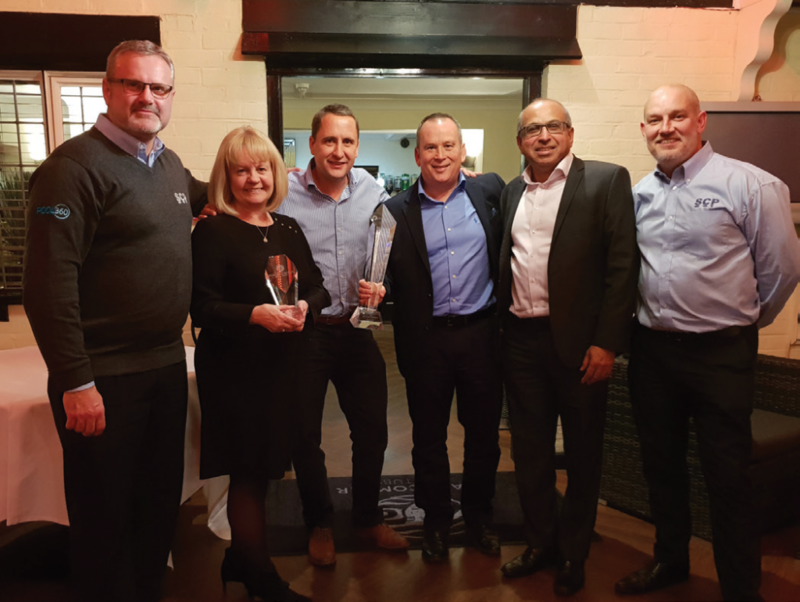 Working together for more than 20 years, SCP (UK ) recently hosted an awards evening to recognise the contribution of the Beachcomber Dealer network across the UK. Winners across the main categories were presented with trophies and some lucky winners took away vouchers for holidays abroad. Entrants were awarded gold, silver or bronze status and winning categories included the Top Dealer Award, Best Showroom and Most Improved Showroom. Among the big winners of the night were Home Counties of Horsham with two individual wins for the coveted overall Hot tub Dealer of the year and the Best Showroom Award. The silver medal trophy for the second place Dealer of the year went to Allpools & Spas of Somerset, who also picked up the bronze trophy for the Best Showroom 2018. The silver trophy for the Best Showroom category went to Relaxatub in Aberdeen, Scotland. The Most Improved Showroom Award went to Poolman of Essex who has invested well in their Beachcomber showroom turning it into a great retail experience The evening was attended by Beachcomber’s Business Development Manager, Pierre Suave and European Customer Care Representative, Karen McCleave.